There is no overall organization that is responsible for all the Gurdwaras in the UK or even throughout the world. 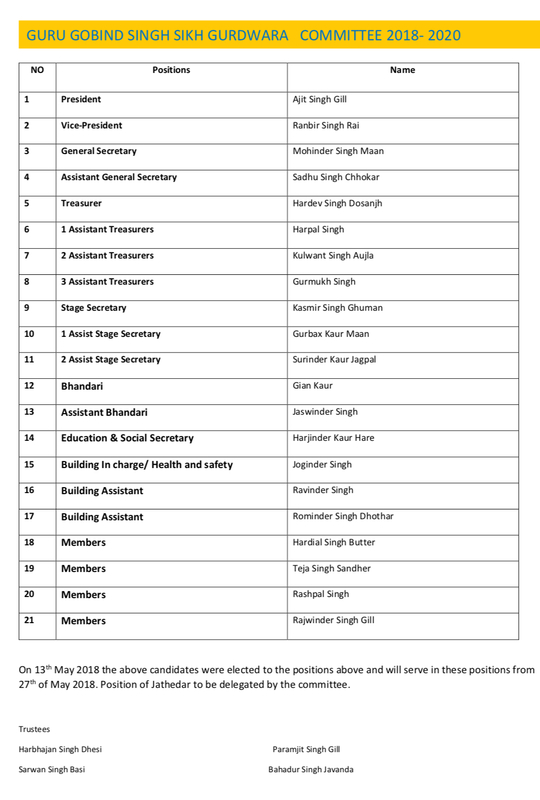 Instead the sangat (congregation) from each Gurdwara elects a Management Committee that will have executive responsibility for the day to day management of the Gurdwara in accordance with the Sikh Code of Practice. The committee is also responsible for the appointment of the Granthi, the custodian of the Guru Granth Sahib Ji. This is because Sikhism does not have priests as they were abolished by Guru Gobind Singh Ji. Any Sikh is free to read the Guru Granth Sahib Ji in the Gurdwara or in their home. The present committee was elected in May 2018 and its term of office will end in May 2020.